Understanding space is not an easy thing, it takes skill and training, but it is essential to the manage the scope of a successful project. During the charrette a plethora of ideas where thrown out by people for what uses might well be accommodated here. Clearly not all could be fully realized, but having a grasp on how this land area compares to others nearby should help. For those Rowlett stakeholders who have an interest in this area, I believe the following analysis will be illuminating. 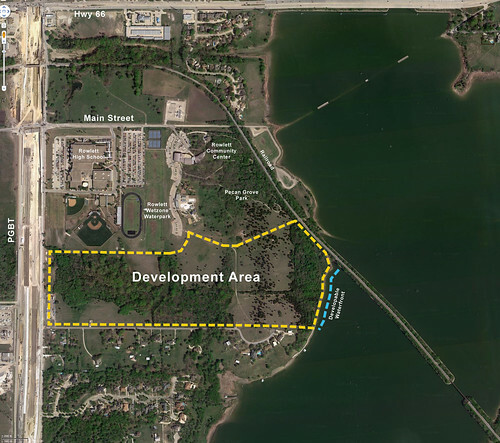 I don’t have any figures on what the exact acreage of this location is, but it’s owned by the city and because of that, as well as it’s adjacency to PGBT, nearness to the historic Downtown and DART, and lake frontage (though limited), has many of the necessary development forces in alignment to suggest it will be the first redevelopment out of the gate. Superimposing the land area that manifests this development, which includes the major anchor Bass Pro Shops, several restaurant pad sites, strip retail and some site set aside for future development (originally planned to include a hotel I believe, but the development has had some troubles), one sees very quickly that it comprised something under half of what Rowlett has. 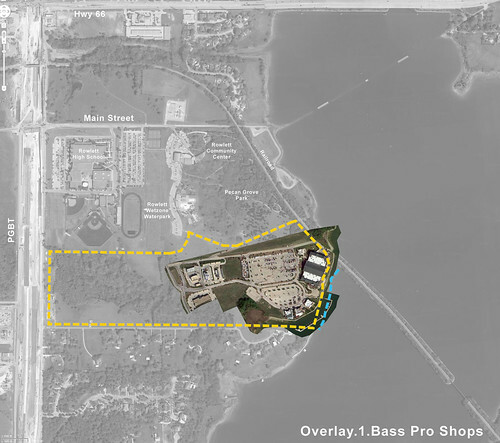 Though approximately 40%, the Harbor Point site boast nearly double the amount of usable lake frontage, which the development has fronted with Bass Pro Shops (buy your boat and launch it right there!) and three restaurants with a lovely vista of Ray Hubbard. In the end, this ends up not being much of a comparison, but it does show how the inclusion of a single “big box” retailer would unfortunately dominate the site, to (I believe) the development’s detriment. Another destination familiar to Rowlett residents, The Harbor has of approximately 220,000 square feet of retail, restaurant and office space; a 230-room hotel with 25,000 square feet of conference space, and a multi-family residential development. While the harbor has met with limited success, and I’ve made my own view of its unimpressive derivative design very apparent, the gem of the development is the outdoor space, rife with fountains, green space, boardwalks and boat docks. However, that does come with a cost, the city of Rockwall invested about $19 million in the project to make the public spaces a reality. What I find intriguing about this comparison is that the Water’s Edge clearly has the opportunity to do at least this level of development, and more. 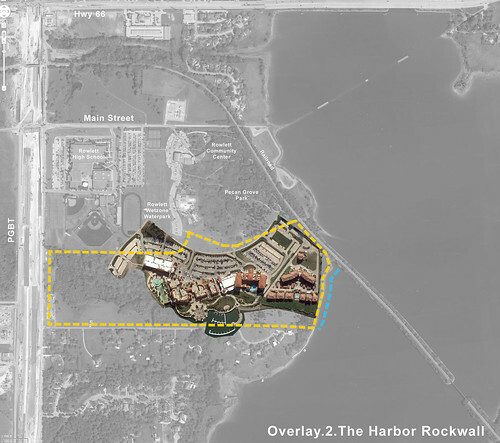 Obvious challenges include items like the parking (which dominates almost half of the site) and the significant difference in lakefront development area (The Harbor appears to have about three times the amount). I’d like to remind the reader here of the previous planning scheme for this area from 2009, which called for over 4.4 million SF of development on this site, well over ten times the square footage represented above. 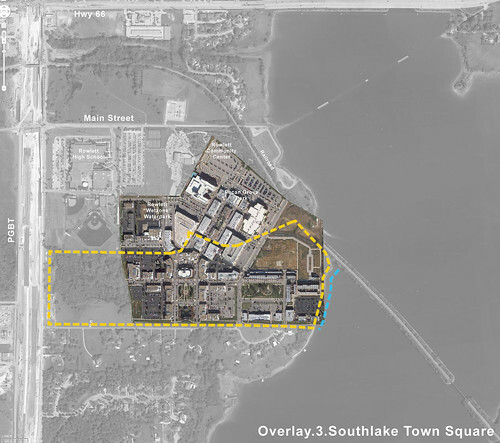 The Southlake Town Square has been offered up a lot in conversations (to which I’ve been privy, at any rate) as another contemporary of what we may like to see at the Water’s Edge. While I could rail against its tragically eclectic, pseudo-historical design trappings for hours, I’ll simply contain my comments about it in this post to issues of use and scale. As one can readily observe, the whole of the development would easily consume the boundaries of the Water’s Edge, with a little overflow. Hence, there are some fair comparisons we can logically draw here about what the scope of our development could include. 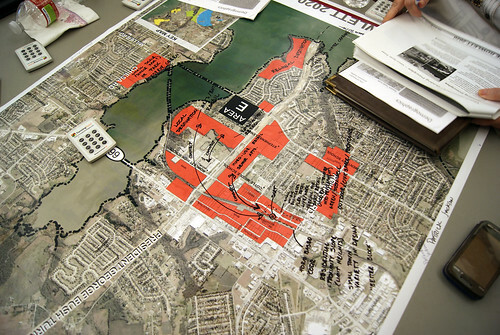 Southlake Town Square consists of 1.3 million square feet of mixed uses, including the City/County Town Hall and Library, the Southlake Post Office, a hotel, movie theater, retail, restaurants, and office space. The civic component forms an interesting analog as well, as some have suggested the possibility of uprooting the city function from downtown (city hall, the library, etc.) and rebuilding them as an integral component of the Water’s Edge. Parking here is still a problem, although they’ve handled it rather better by largely distributed it in surface pockets and two (albeit massive) parking garages, rather than enormous swaths of asphalt. Again (subtlety is not my strong suit), I’d like to remind the reader here of the previous planning scheme for this area from 2009, which called for over 4.4 million SF of development on this site, almost three times the square footage represented above. 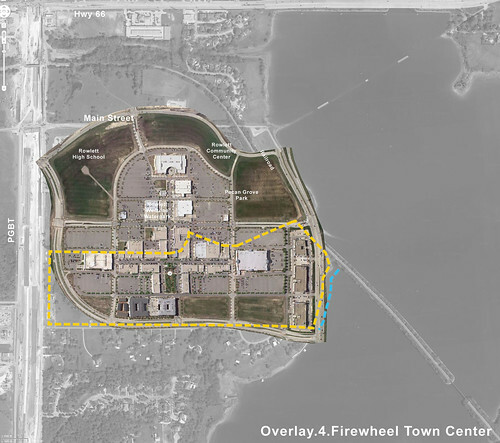 Another development probably very familiar to Rowlett citizens, Firewheel is a town center in name only. Far from the center of any of the adjacent community, located at the intersection of PGBT and Hwy 78 in Garland, it ironically creates a “walkable” retail environment amidst a sea of asphalt and parking. 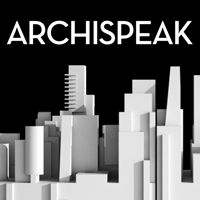 Boasting nearly one million SF of retail space and 75,000 SF of office space, it is technically smaller than Southlake, but because it almost entirely utilizes surface parking, is forced to sprawl out immeasurably. By comparison, one might observe, this style of development would smother the available land the Water’s Edge affords. This process was one of personal interest to me, and helps me understand the available land better. I was particularly struck by the comparisons of the various development to the plan that had been drawn up in 2009, and frankly illuminated for me how “pie-in-the-sky” that plan had been. It also confirmed fears I’ve had about the contradiction between what the community would like to see develop here, and what use and parking implications would allow to be developed, without irrevocably ruining the location. Next I’m going to take this information and develop it in accordance with what we learned at the charrette and posit a deeper look into how specific uses might occupy this site. Stay tuned. You’re a good dude…. I think there are some interesting mixed use examples in Baltimore that might be worth reviewing… I think some of them actually create some additional waterfront with canals…. Ooops… Check out the Inner Harbor in Baltimore…. I am curious to the view from that shoreline, with the train track running right thru the body of the lake…. Is it totally cut off from the round level?